Hi guys. It's been a while since I posted and it looks like a lot has changed in the Dreamcast community since then. I had some questions about the variety of options that have become available for loading games on original hardware, from backup images. The DCemu has been around for a while, but now I see these other things like Dreamcast IDE reborn, and all these flash cards that go in the serial port. I want to do one of these things, preferably the cheapest and easiest one but I wanted to make sure it's not a waste of money or any of that. 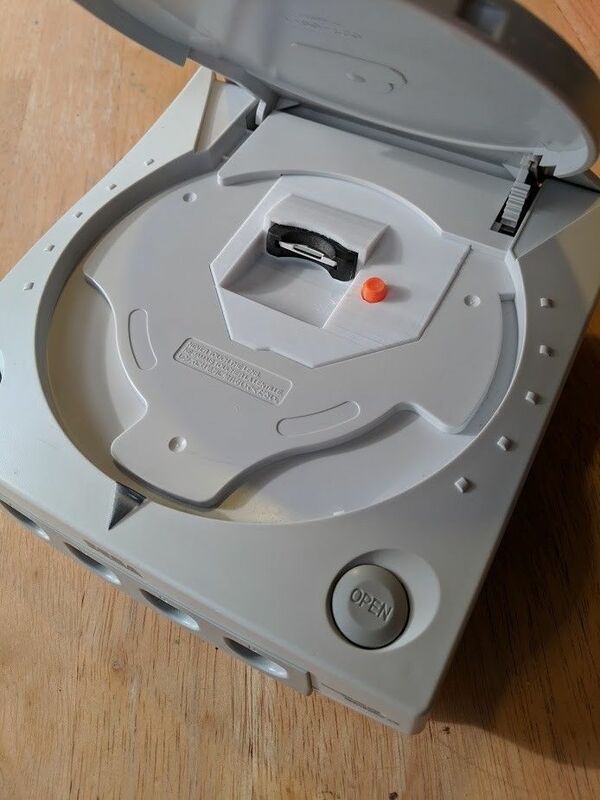 Honestly I would be willing to pay the extra for something like Dreamcast IDE reborn but apparently that requires soldering and all that, and I don't know how to solder and do not have a soldering iron anyway. I am very much ignorant and in need of some knowledgable DC talk insight. Any help would be appreciated. You want to get the GDEMU, it has 100% compatibility with ALL games, unlike the serial adapters that have been knocking about since 2010, or the IDE mod, which also uses Dreamshell. I am a HUGE fan of Dreaamshell, but it is still not quite there as far as compatibility is concerned. I caved in and bought one of the GDEMU clones off of eBay. You can get them for $70. I just threw in a 128gb micro SD card on an SD adapter and am loading it up with games. A great solid state solution that is still affordable. You could get both a 128gb micro SD card and the GDEMU for about $100 total cost. Just shop around. You will find what you need. HOWEVER, I don't recommend buying SD cards online unless it is from the official store pages. Walk into a brick and mortar store to get a SD card from a trusted brand. Chinese scammers are rampant on eBay and I have been scammed buying a 32gb card back in 2011, and never figured out why it was screwed up until years later. They can go in and change the code on the card to read out as a larger number than it really is. Anyways, you can't get anything cheaper than the GDEMU clones without being super lucky and finding somebody to do an IDE mod for you. Trust me, it is the best affordable option. They have even been reportedly tested with 512gb micro SD cards, and work with them. Also, the GDMENU is a great front end for launching games. It isn't as feature rich as Dreamshell unfortunately, but it is a clean minimalistic menu that looks light years better than the built in solution of the USB-GDROM ODE. You can even buy 3D printed inserts with SD extenders so you don't have a gaping hole in the DC. Last edited by Anthony817 on Tue Jan 08, 2019 11:32 pm, edited 1 time in total. Thanks for sharing your experience. About the menus: are they still as cumbersome as they were in that Adam Koralik video? GDMENU? It is pretty straight forward now, we have SD card builder apps too on PC to allow us to add and configure GDI's and select VGA flags and other options as well too. So it patches that, and also lets you press Start + A,B,X,Y, at the same time for in game reset. Just make sure you do it 2x in game, once to get back to main game menu screen, and again to go to GDMENU. It can fully reset the console back to that for you so no getting up to power down system to change games or any bios mods required to get that feature. I just added 60 games to my 128gb SD card over the past 2 days and it was way less painful than adding them all individually. It is also still not close to being fully filled up either. You can even rename the games as well too, and in fact using that app makes the "loading" screen you see to get to the menu disappear, it is 100% skipped now with that app. You can go instantly into the app if you set your DC to auto start into game, and then go into the settings menu inside GDMENU and turn off the Sega Dreamcast swirl and license screen boot sequence and it lets you get into games even faster. It really does bring the system into the 21st century. Such a great affordable and 100% compatible device vs other solutions. You can get the latest version of the SD maker app here, and it also installs the latest GDMENU as well. Also, if you have any other questions let me know, I will be happy to answer them. Not all, Bleemcast tk3,gt2 and mgs not working. Anthony817 wrote: GDMENU? It is pretty straight forward now, we have SD card builder apps too on PC to allow us to add and configure GDI's and select VGA flags and other options as well too. So it patches that, and also lets you press Start + A,B,X,Y, at the same time for in game reset. Just make sure you do it 2x in game, once to get back to main game menu screen, and again to go to GDMENU. It can fully reset the console back to that for you so no getting up to power down system to change games or any bios mods required to get that feature. What iteration of ebay-sold gdemu can you personally vouch for? How difficult is the assembly? I have zero soldering abilities; i hope i don't have to solder stuff. Can I save game save files to the SD card or will I need to use my VMUs? Because i always get mixed up with which VMU has which save files. GameOverYeah wrote: What iteration of ebay-sold gdemu can you personally vouch for? How difficult is the assembly? I have zero soldering abilities; i hope i don't have to solder stuff. Can I save game save files to the SD card or will I need to use my VMUs? Because i always get mixed up with which VMU has which save files. They are literally all the same things coming from the same manufacturer out of China. There is basically no difference in the build quality of any of them as the same people are making them. It is just different people reselling them. I bought mine from a guy in the UK for more money as he offered a 30 day warranty on them, which neither the official ones, nor the Chinese clones have any manufacture warranty. So I had a lot more faith in the UK reseller, but I also paid about $100 for mine. You can get the same exact ones for $70 with free shipping, so I would just go with those. Spend the extra money you save on a 128gb SD card. I just picked up GDEMU, glad I read this thread about the SD card builder. Next is the Fan replacement mod. Does anyone have a link to the tool that resets the internal flash memory of the DC so I can change my PSO serial?